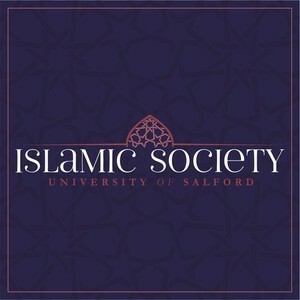 Welcome to the University of Salford Islamic Society. Our main aim is to serve both Muslims and non-Muslims on campus, regardless of race, nationality, ethnicity, age, gender, or sect, by adhering to the Qur’an and Sunnah. The ISoc is primarily an Islamic service with the fundamental purpose of fulfilling the needs of Muslim's among students, and the local community, in addition to promoting the ideals of Islam to non-Muslims in the university. Alhamdulillah, we are a diverse group, and anyone is welcome to join. We are a non-political society, officially affiliated with the University of Salford Student Union. Full Membership £4.00 Access to all events, workshops, and seminars.